State Representative Jessie Danielson has fought to make Colorado a better place to live. First elected in 2014 as a Democrat serving Colorado’s House District 24, Jessie serves as Speaker Pro Tempore. She currently serves on the House Appropriations, Agriculture & Natural Resources and Public Health committees. In 2015 Gov. John Hickenlooper appointed her to the Colorado Commission on Aging. In the legislature, Jessie has been a leader on equal pay for equal work, fighting elder abuse, getting rid of red tape for veterans looking for a job or college degree, and cracking down on wage theft. Jessie sponsored the bill that legalized rain barrels for Colorado homeowners. 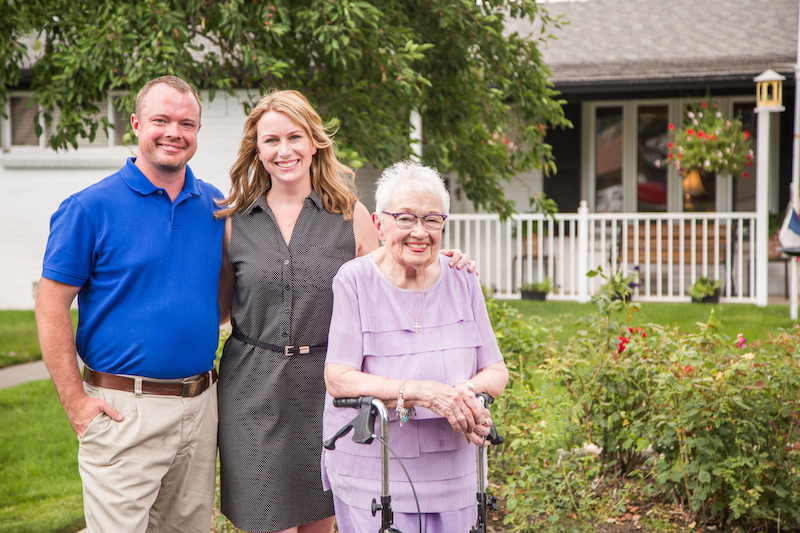 Jessie with her husband, Andy, and grandmother Janice Rasey at her Wheat Ridge home. In 2016, Jessie was named Elected Official of the Year by the Jefferson County Council on Aging and the Seniors’ Resources Center for her work on behalf of seniors. She was awarded the Jefferson County Democrats Labor Advisory Committee’s “Friend of Labor Award” in 2016, and was named a 2015 Outstanding Colorado Lawmaker by the Colorado Women’s Chamber of Commerce. Before serving in elected office, Jessie was the Colorado State Director for America Votes, which works nationwide to expand access to the ballot and protect every American citizen’s right to vote. Jessie was instrumental in the passage of the groundbreaking Voter Access and Modernized Elections Act of 2013, which has expanded every Coloradan’s access to the ballot. Jessie holds a BA from the University of Colorado, and also studied abroad at Spain’s Universidad de Sevilla.